This is a blog born out of necessity. Poker in America is under attack. In the last two weeks, online gaming suffered a major blow in the USA, via some back-door, late-night shenanigans by some typically corrupt politicians with a distorted agenda. Using the Internet Gambling Prohibition and Enforcement Act, which was passed in the House of Representatives back in June, a revised version with multiple carve-outs was attached to the all-important Port Security Bill. On Friday October 13th, President George Bush signed this bill into law. The reaction by online gaming companies, primarily publically-listed ones legally licensed in the United Kingdom, was swift. Simply, they’ve pulled out of the US. So where does this leave the 50 million Americans who play poker? In the cold, holding onto their tiny antes for dear life and wondering when gambling in general will go the way of alcohol during prohibition. What kind of freedom is that? Poker is an American game – George Bush probably even said “don’t mess with Texas Hold’em” at some point in his life. This is why Poker Patriots was born. We must fight for our right to play. We intend to create a community, forming a common voice where players, operators, activists, and all freedom-loving people can say, “give us back our game.” So we want your participation. 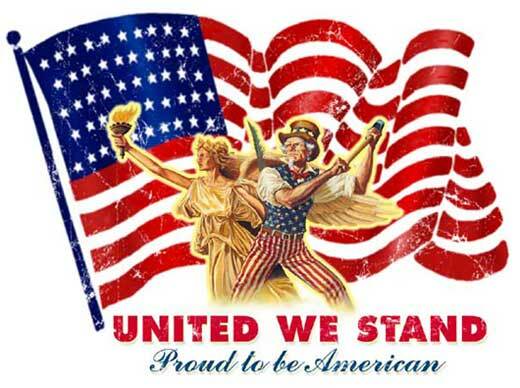 Comment on our articles, send us details on the efforts you or others are taking, support our cause by getting a t-shirt to show that you’re a Poker Patriot, and support those sites who still offer poker to the good ol’ US of A.